Painting abstract florals with a palette knife! Flowers are one of my VERY favorite things to paint. 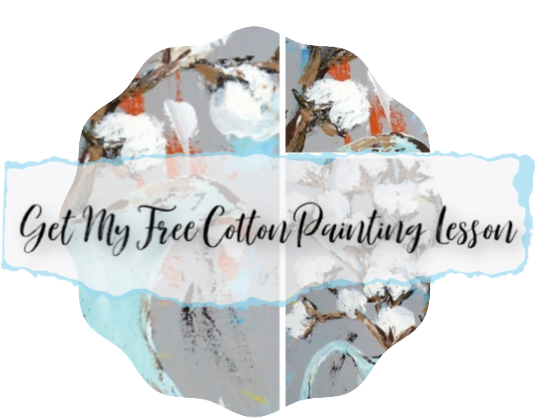 I really enjoy using a palette knife to create roses and peonies, so I thought I would share a short and simple little demo with you to help you get started painting your own abstract florals. Painting with a palette knife is very different from using a brush. It is very freeing and very messy. I love it! I’m not good at being precise with a brush. Trying to paint like that makes me so tense. I love being loose and a little abstract when painting florals, so using a knife is my favorite way to paint abstract florals. In this video, I am using a knife with a rounded tip.When it comes to palette knives, there are many different sizes and shapes. This was the first shape that I tried and I tend to use it a lot simply because I am most familiar with it. ( This is an affiliate link for palette knives on Amazon.com. Click the link here to order: Palette Knives.) I load the paint by cutting into it and then sweep the knife across the paper, holding it at an angle. It’s a lot like icing a cake, if you’ve ever done that. It takes a bit of practice to get the hang of it, but once you try it a few times, you will be able to feel that it’s right. I find that it is easier to do this if you are using a heavy bodied paint, but it’s not really necessary. (Here’s a link to my favorite heavy bodied acrylic paint: Liquitex Paint.) Keep in mind that there is no wrong way to do this and every artist has their own little quirks and tricks when creating. Don’t be afraid. Just do it! Go get a knife, some paint, and a surface you’d like to use and try it. You have nothing to lose and lots happiness to gain! I hope this little bit of information is helpful to you, and that you will give it a try! I’d love to see the flowers you paint with your palette knife! Leave a comment below with any questions you might have. I want you to enjoy creating your own happy painting and be creatively confident!